As you have searched for Best AdSense optimized WordPress Themes, you must be either thinking to start earning online or increasing your revenue to few folds. Definitely like we look for SEO optimized WordPress themes. Similarly, we should also use AdSense optimized WordPress themes for better output. 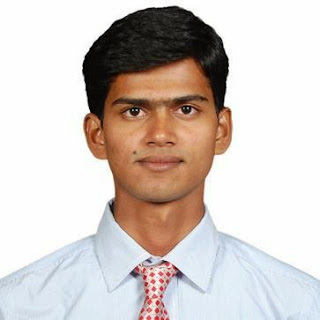 Ultimately you are not doing any extra work and in response getting your income multiple folds. Definitely, you can use AdSense plugins for WordPress but there are many AdSense optimized WordPress themes, and you can use those directly instead of installing many plugins which will just increase your blog loading time. These themes have intentionally designed to get you more CTR and hence with the same traffic your AdSense revenue will get increased. You can also check our 12 super tricks to increase AdSense income. 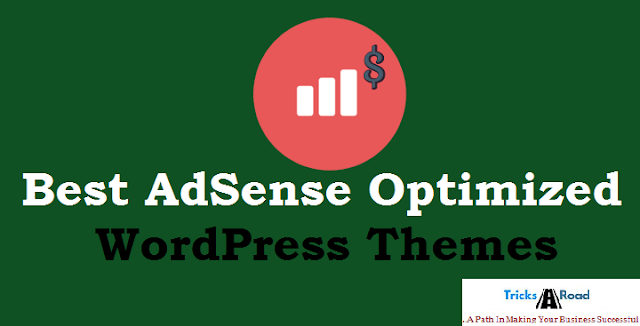 These Best AdSense Optimized WordPress Themes provides great CTR and have enough spaces to place your ads and even in the demo of themes, it will show you, what are the best places to place your AdSense ads for maximum revenue? In this article I have gathered around 16 Best AdSense optimized WordPress themes for you so that you can increase your AdSense revenue. Some of these themes I have used for my niche blogs while others are based on the user's review and what company claims. Here is the list of best WordPress theme for Google AdSense. If you are not using AdSense optimized WordPress theme and your primary source of income is Google AdSense, I would suggest you move as fast as possible to any of these best WP themes for AdSense. This is the perfect theme I found after many times and I am really loving it. No matter if you are running a news site having multiple categories like Business, Entertainment, Technology, etc. or a simple blog, Newspaper theme is the perfect choice for you. It is a WordPress AdSense theme created primarily for newspapers, news and publishing websites but definitely due to its highly customizable feature, you can use it for any site. It is not only AdSense optimized WordPress theme but also SEO optimized theme for great use. It has separate space for ads, videos, social signals and much more which make your job easy. The design of Newspaper theme is very eye pleasant and will attract your visitors for sure. Must Read: How to choose a perfect template for your blog? 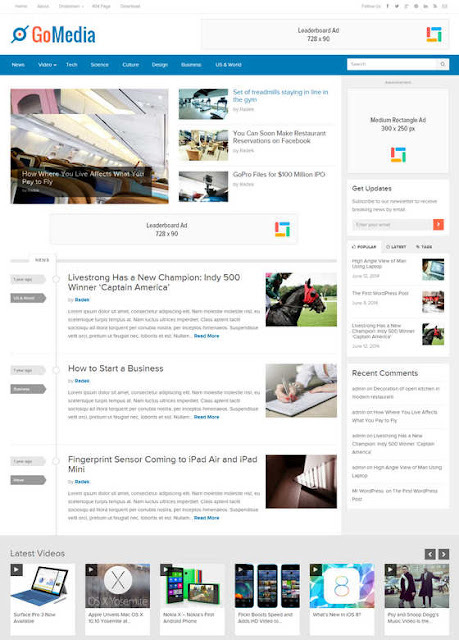 Newsmag is a news and magazine WordPress theme and is quite popular. 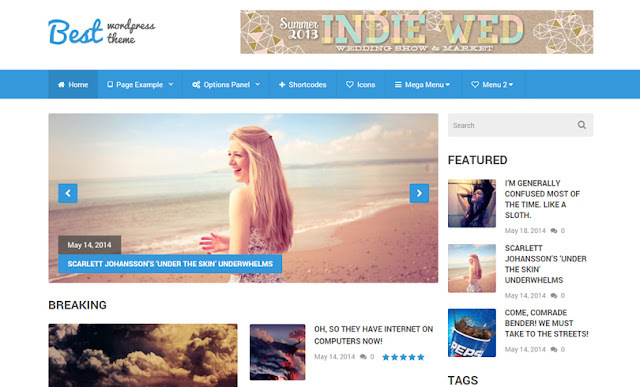 It is also one of the amazing AdSense optimized WordPress themes for blogging. It is an excellent theme for news, review, and magazine-like sites but also works quite well for blogging sites especially for those blogs which have multiple categories. It has a unique feature for Video and product review and is one of the clean WordPress theme available. You will find lots of spaces for your AdSense ads and all the responsive and so can work on all devices. The developers have taken care of all the aspects of responsiveness. 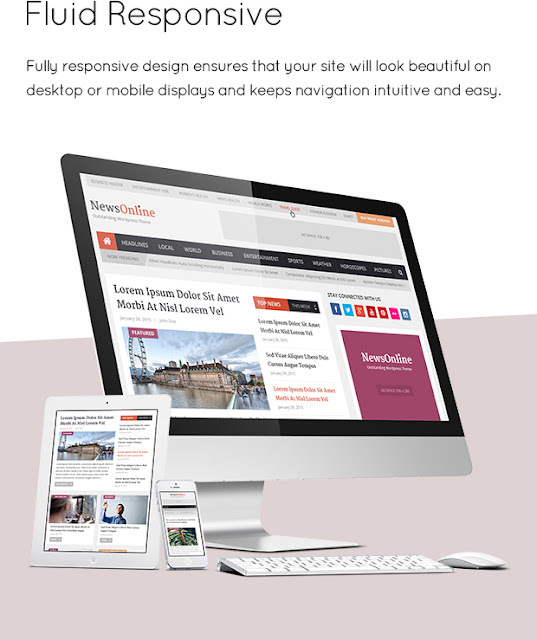 Must Read: Developing a responsive site? Do you know these tips? 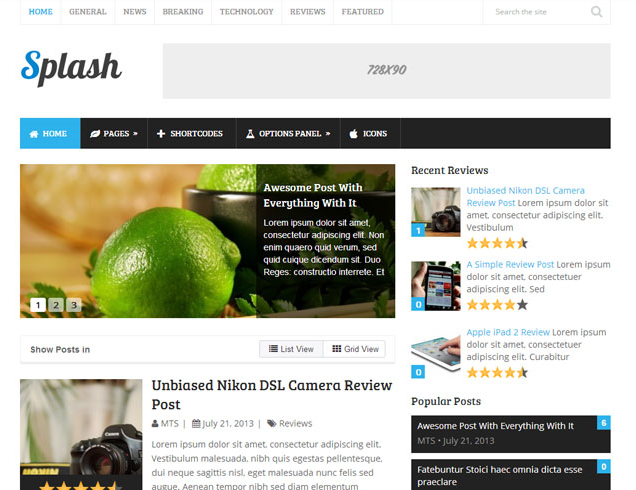 Splash is an excellent Theme by MyThemeShop. It is a fully responsive AdSense optimized WordPress theme for better earning. It has multiple homepage layout, and you can choose as per your need like if you are using for the blog, let it be default but if you want to use for news site then choose news style. This theme is also SEO optimized and supports multiple colors, and you can choose which you like for your site. Splash also support woo commerce and more than 350 icons and fonts. You can even design your custom widgets and will help you to reduce blog load time. 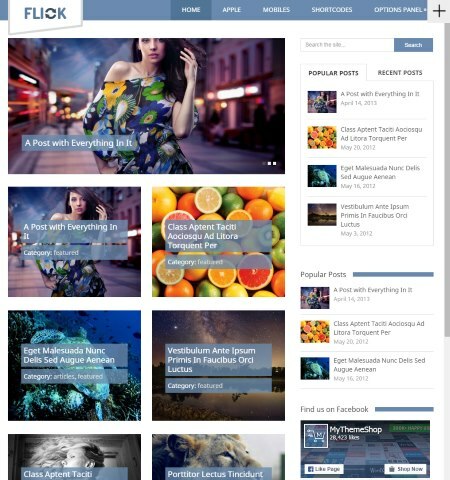 The flick is another AdSense optimized WordPress Theme by MyThemeShop. It is a theme developed for news sites, or for bloggers and journalists who always want their site updated and look crazy. This is a theme which looks awesome and has cleverly positioned ad slots which don't irritate users and increase the AdSense revenue. The available ad spaces include- a banner below the menu and three on the left side of the page. Their positions never change, no matter to what section you navigate. Flicker is also a SEO and AdSense optimized WordPress theme to use. 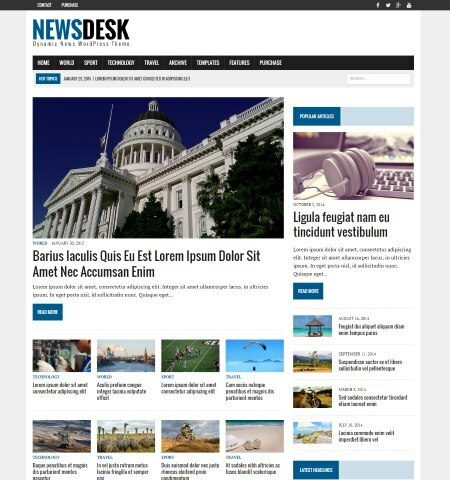 Newsdesk theme has been developed for news and magazine my MH Themes. This is one of the best themes by MH theme, and the developers have taken care of everything like SEO optimization, AdSense optimization, etc. They have around 5 ad spaces on the home page for better earning from both AdSense as well as affiliate earning and any other earning methods. AccessPress mag is a beautiful WordPress theme designed by AccessPress Themes and is highly AdSense optimized. 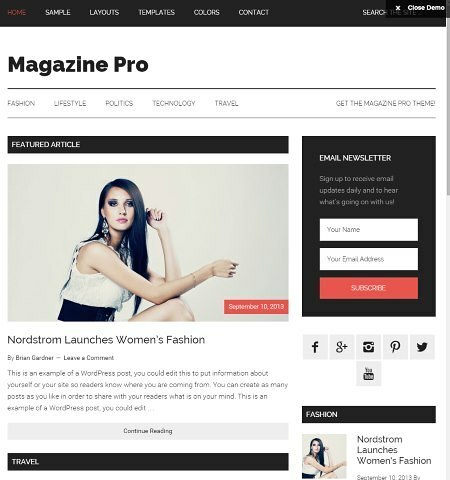 AccessPress Mag PRO is a clean and modern magazine WordPress theme. It comes up with clean and functional design making it ideal for dynamic news sites, editorial journal websites, online magazines, review sites, blogs or personal websites. This is a very responsive site with good spaces for ads and other social signals, and if you are looking for a simple AdSense WordPress theme, you can go for it. 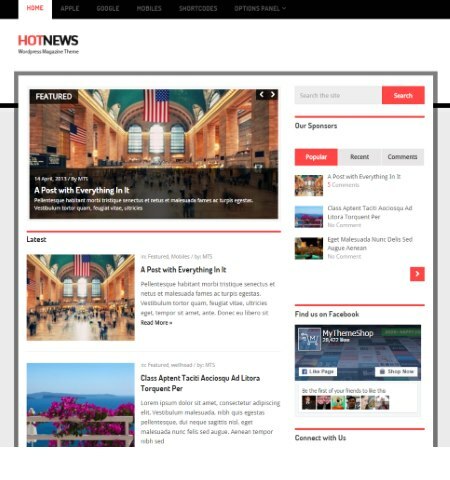 HotNews is a popular, news magazine and breaking news style WordPress blog theme. With a slider, various post widgets, a touch of color and plenty of contrast to improve readability, HotNews is perfect for bloggers with text content, media content, and who want to have full control over what homepage posts are displayed. This is one of the best WordPress themes for Google AdSense and has many features like it is Responsive, have clean codes, optimized for SEO and many other functions. This has multiple color options, and so you can choose as per your need. You can get higher CPCs, more clicks, and more revenue, with HotNews’ AdSense optimizations that will skyrocket your earnings. Nominal WordPress theme is also from MyThemeShop and is one of the best AdSense optimized WordPress blogging themes. It is a crisp, grayscale WordPress blog theme. Responsive by design, with all the usual features including options panel, custom shortcodes, and widgets, Nominal also is optimized for SEO and speed, to help your blog rise to the top of the web. It has widgetized ad spaces and is also SEO optimized theme. If you are looking for any of the blog/news/magazine WordPress theme with highly customizable ad location, GoMedia can be a perfect choice for you. Even the default home page contains 4 ad location which you can use as per your need, or if not needed, you can suppress those. 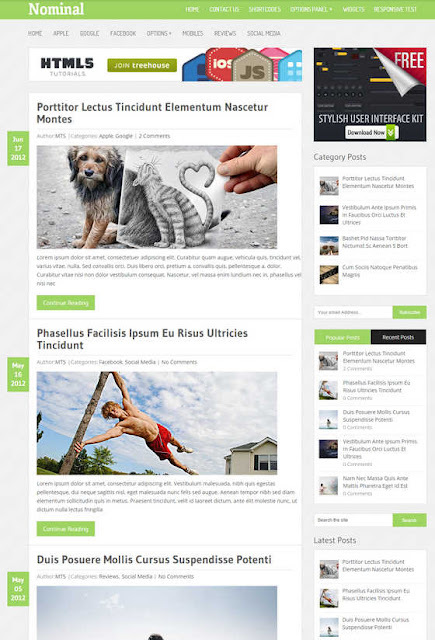 GoMedia is a very decent theme by theme junkie and is a good AdSense optimized WordPress theme. 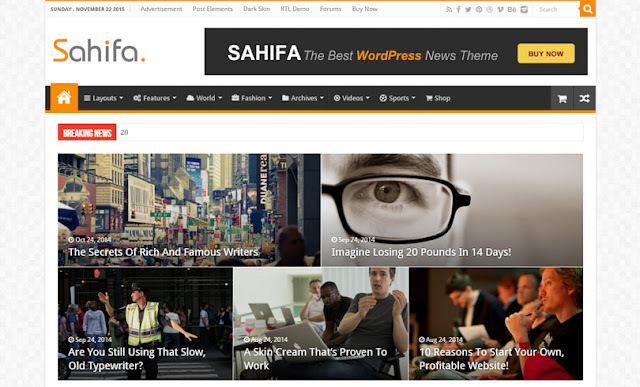 Sahifa is a very popular WordPress theme, and thousands of blogging and news sites are using this theme successfully. Needless to say, it has been designed in a way that it can handle many ads and you can say it is a simple AdSense WordPress theme with many features. With powerful admin panel and quality support, Sahifa is also recommended by official WordPress. It also supports bb press & BuddyPress and also supports page builder. 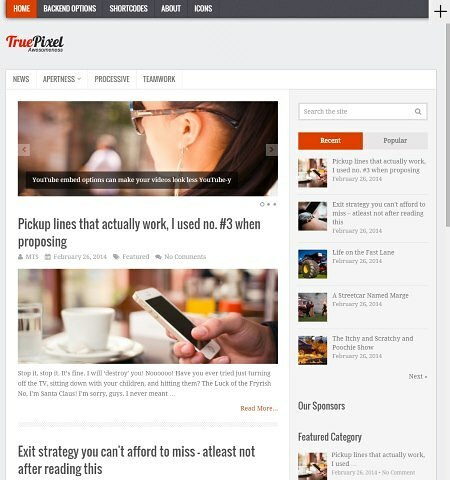 If you are not looking for something very hi-fi instead going for a decent looking simple AdSense WordPress theme, I would suggest you News Pro theme. With a very simple design, this theme has attracted thousands of webmaster to use this. 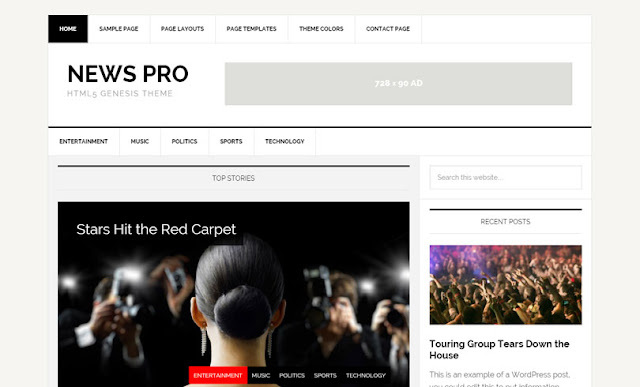 Like News Pro, Magazine Pro is also a Genesis child theme and works on studio press framework. Your online features never looked better than with the versatile layouts and media-ready design of the Magazine theme. A stylish frame speaks volumes about the publisher. It is a Mobile Responsive theme with a customizable header and is one of the best AdSense themes. Best is a responsive WordPress theme that features an appealing design that is entirely fluid responsive, loads incredibly fast, is fully customizable, and optimized both for search engines and advertisers. It also includes an excellent review system and support for our new Megamenu plugin. It looks somewhat similar to splash Theme by MyThemeShop. Best is a Google AdSense optimized WordPress theme with many other features like Google web fonts, Ajax loading, SEO optimized, Schema integrated and many others. It has a touch slider and beautiful author box as well with social signal options. NewsOnline is a beautiful and professional WordPress AdSense theme with a glossy feel that's perfect for news sites and online magazines. For webmasters and designers looking to build sites that display lots of information in a way that feels authoritative and high quality. It is a fully responsive design with premium AdSense ready features which will increase the CTR for sure. It also has a featured section with parallax scrolling. It supports many awesome fonts and icons and has commented codes which make developers work damn easy. TruePixel is a premium AdSense WordPress themes which have helped site like ViralNova make millions of money from AdSense. I am not saying that these sites have made millions just by using TruePixel but definitely, this theme has helped them to customize AdSense ads and better placement. Admania is specially designed WordPress theme for the Affiliate marketers and Adsense users to place the advertisements at the strategic spots. It is not only an Ad-optimized theme but it also a fully responsive theme that boasts the SEO features like blazing loading speed, Schema.org, and HTML Mark-up codes. The Front end Ad editor is the unique and attractive feature of this ad-friendly theme with which you can fix or edit the ads directly on the theme instead of doing at the backend settings of your website. 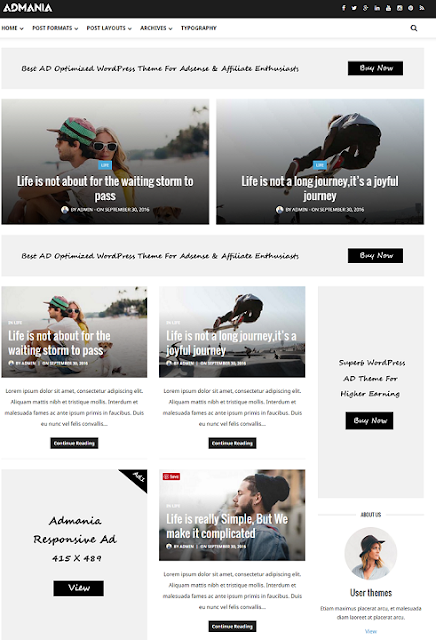 Besides, the possibility of incorporating the floating ad and sticky ad to pull the attention of the readers is the notable thing of Admania WordPress Theme. As this stunning template let you add the Ads at the high-conversion places to enhance your CTR, you could easily boost your Adsense revenue with it. These were some of the best AdSense optimized WordPress themes for blogging, news and magazine sites. These best WordPress theme for Google AdSense help you to increase click-through-rate (CTR) by a good amount and so increase the earning. These best CTR themes not only provides good CTR for AdSense but also looks fresh and you can convert your visitors to blog reader for sure. Not only blogging, you can even start with eCommerce stores with the WordPress as well. For this, you may look for an eCommerce plugin called woocommerce. Also, you may try restaurant WooCommerce themes or fashion WooCommerce themes for the suitable templates. Which theme you liked the most? Which you use for your WordPress blog?